Friesian Horses on TV or in the cinema. Due to its flashy appearance, the Friesian horse has become popular in the film industry. The breed owes much of its current popularity to the appearance of the Friesian stallion Goliath (real name: Othello) in the 1985 film, Ladyhawke, which ignited a worldwide interest in these horses. 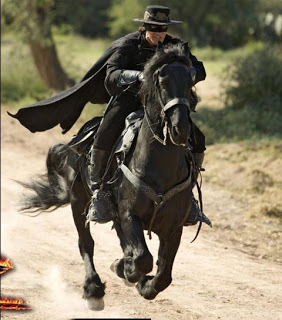 Films such as Eragon, The Mask of Zorro, Alexander, The Chronicles of Narnia, For Greater Glory and The Wolfman have also featured Friesian horses. An episode of the TV series Lost featured a Friesian/Saddlebred cross. 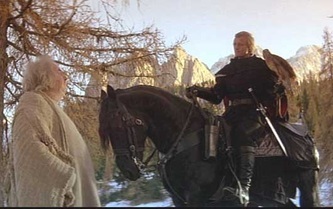 Most recently, Friesians were seen in the 2010 remake of Clash of the Titans, where two horses named "Boech" and "Gallo" each took turns playing the winged horse, Pegasus, and they were also used in the 2011 remake of Conan the Barbarian. Friesians are also used for the Tribute Parade in The Hunger Games and in Catching Fire.